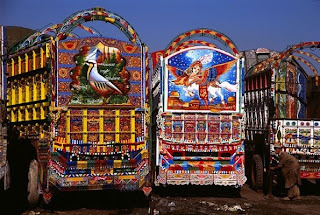 Pakistan is very beautiful country and known with it's art and creative works. 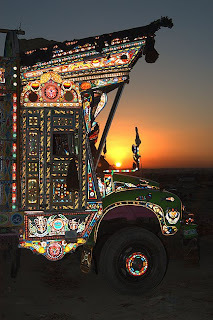 Peoples of Pakistan loves the culture. 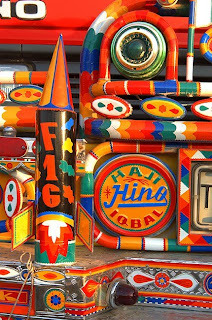 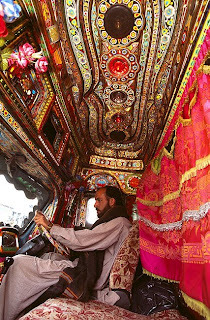 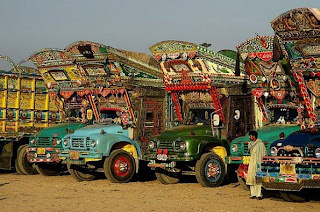 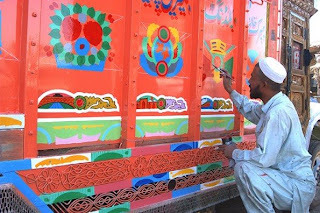 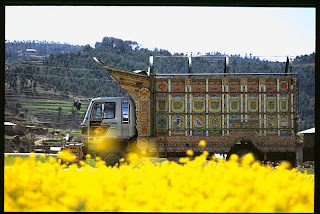 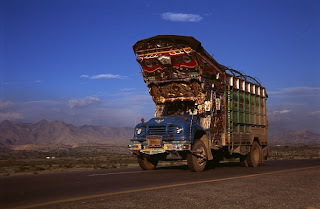 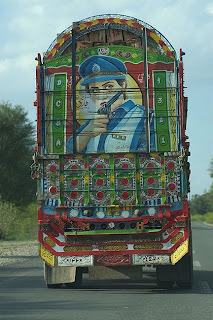 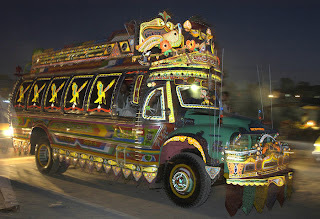 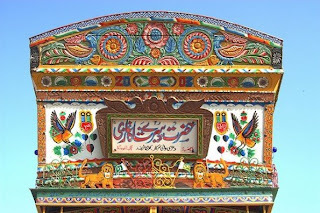 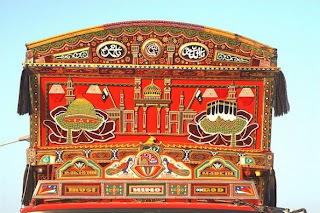 There is another indigenous form of art performed in Pakistan and it is the Truck Painting. 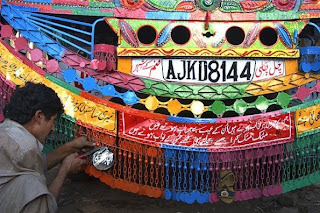 With its all colorful floral patterns, depiction of human heroes with creative aspect ratios, calligraphy of poetic verses and driver’s words of wisdom, this form of art is truly a part of Pakistani transport tradition. 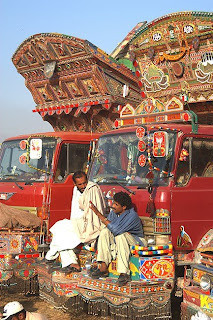 Idealized elements of personal and communal life. 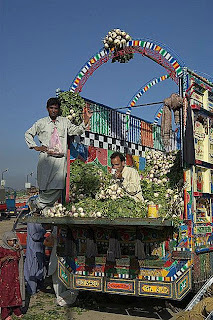 Elements of political and national life. 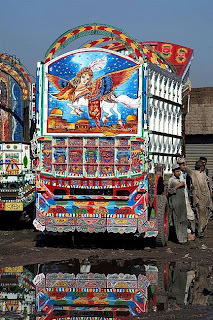 Obvious religious symbols and images.